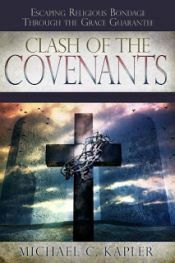 The promise of a covenant bringing righteousness by faith or belief as it was given to Abraham, would eventually bring what we often refer to as the New Covenant, which was ushered in through Jesus Christ. 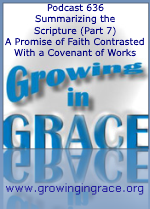 Several hundred years after God made this covenant with Abraham, another covenant would be established with the people of Israel, and would include the law which came through Moses. This law would bring a curse requiring that all of it be kept perfectly, causing God to find fault with the people in that covenant. Fortunately, that covenant of law would not nullify the covenant of promise made 430 years earlier. The promise of faith would end up kicking the law of works to “kingdom come” (because the law is not of faith). This week in our series, we’re transitioning from Abraham to Moses and the Law.